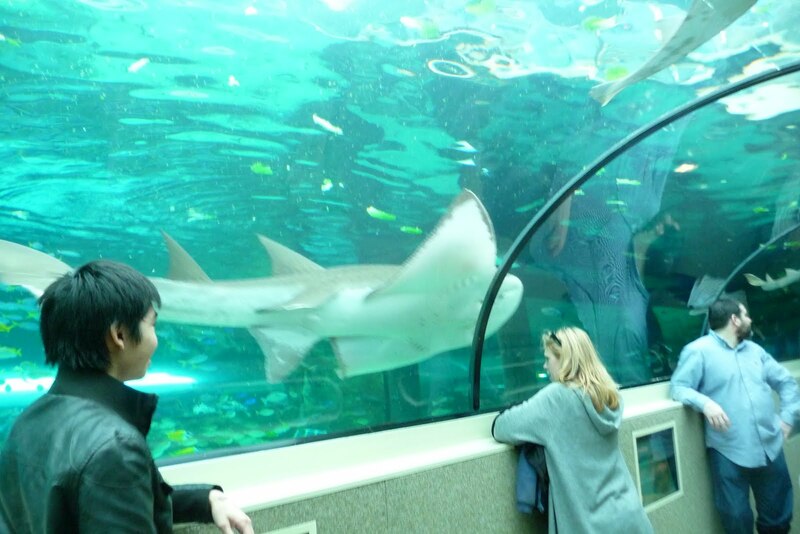 We started off our first Sunday in Australia with a trip to the Sydney Aquarium. I was really pushing to do this, but it wasn’t the greatest experience for me. 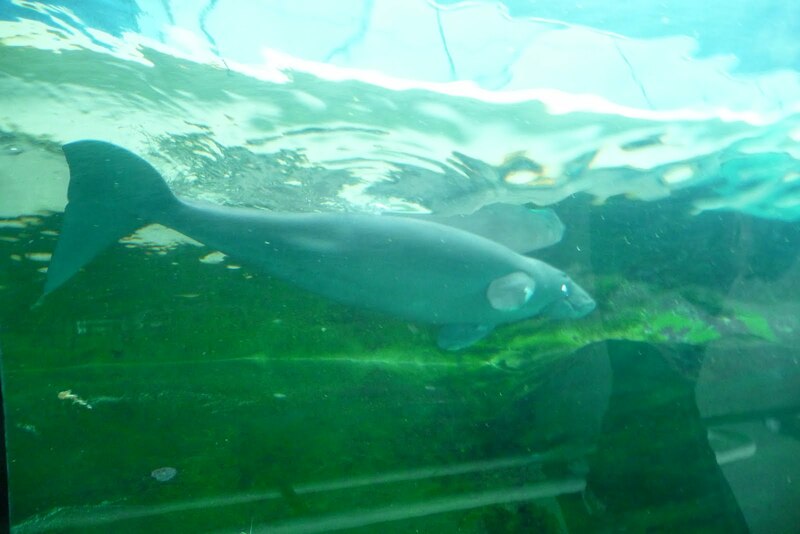 I became sad as I watched the fish (especially the big ones) swim back and forth and back again. All I could think about was how these animals travel so far in the wild. 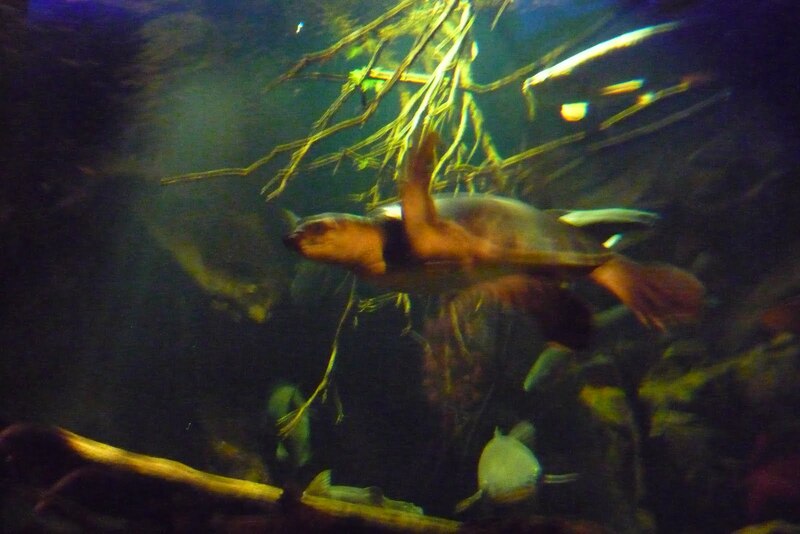 I heart turtles. Especially sea turtles. 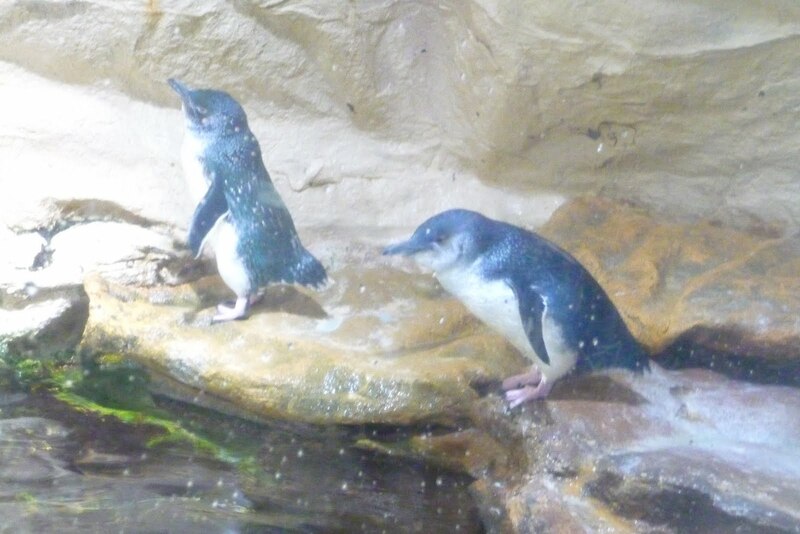 I also heart penguins. Do you think they are depressed to be jumping off the same rock everyday? 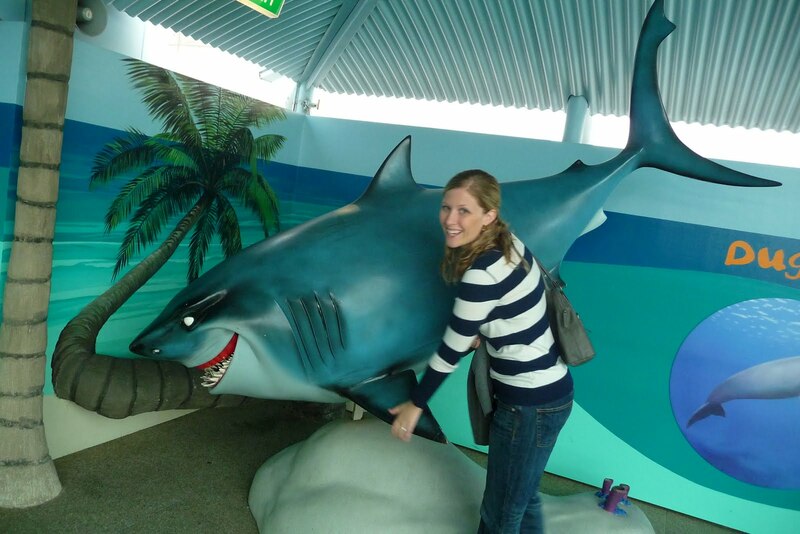 Here I am being a huge dork with the fake shark. He looks like the guy from Nemo, no? This is where I had a panic attack. There is a tunnel with water all around you. 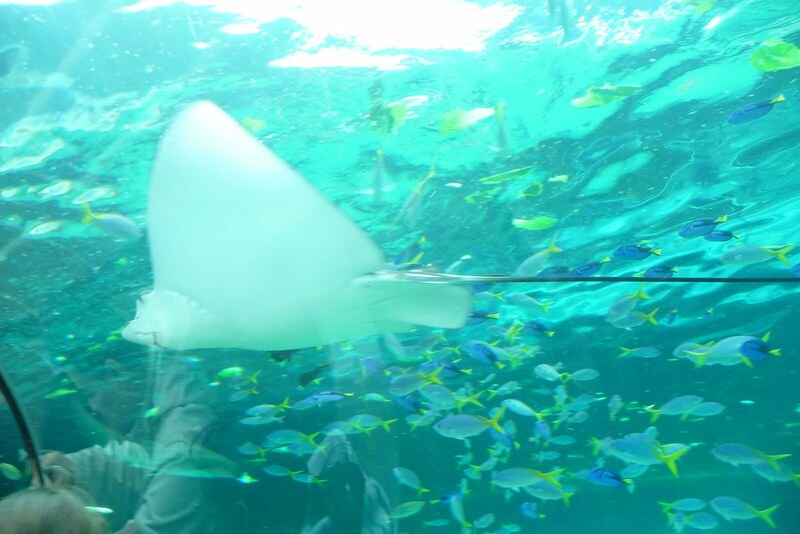 This one had rays and the dugongs. 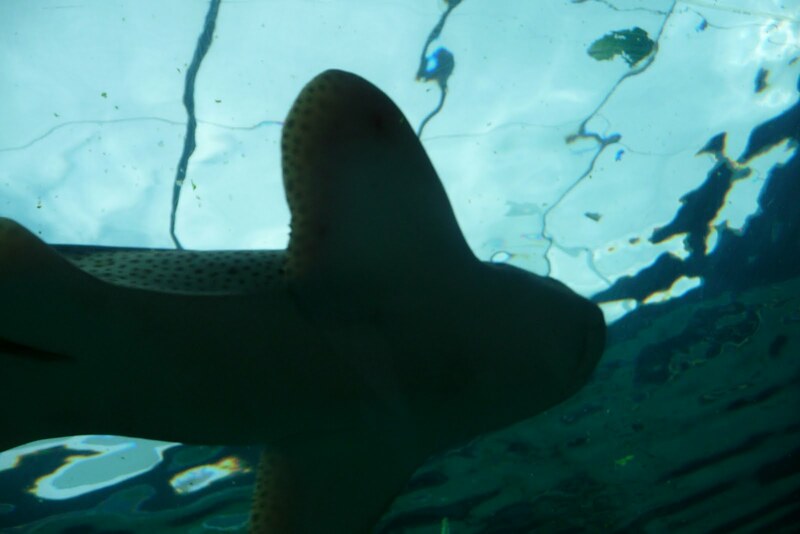 There is a story that people thought dugongs were mermaids. I don’t see the resemblence, do you? 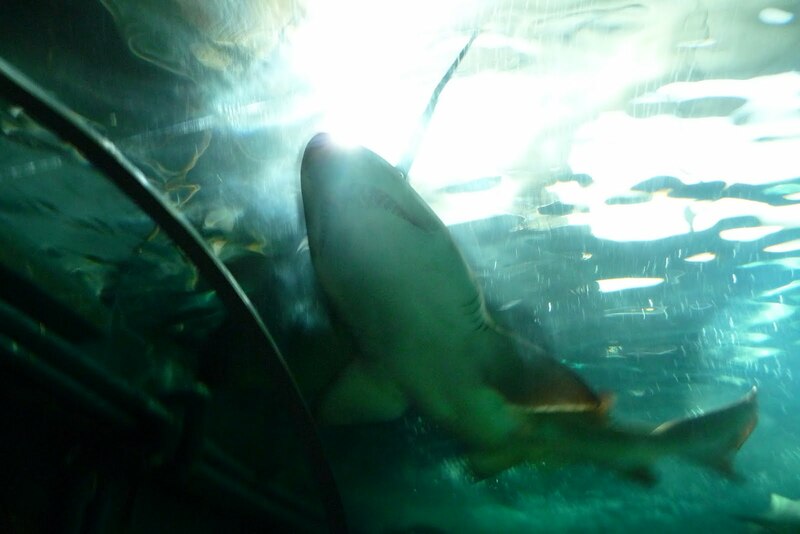 Then, we visited the shark tunnel thingy. If I was nervous before, I was totally losing it now. 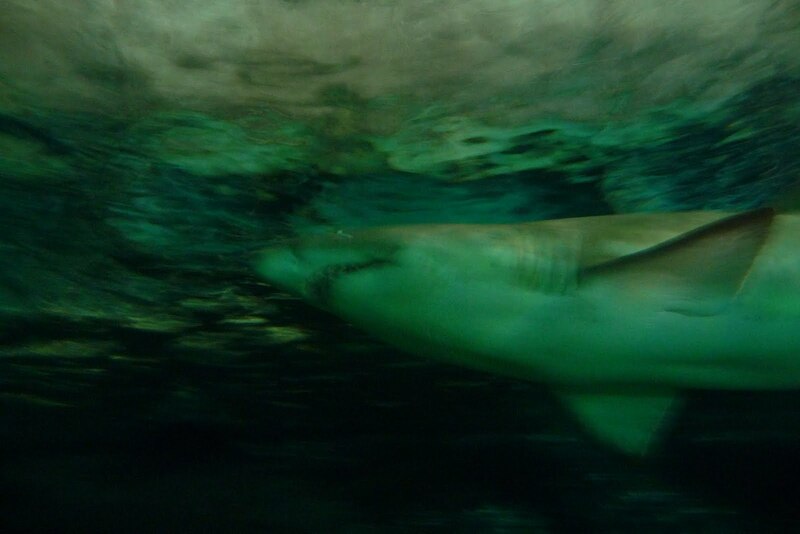 Here is a shark swimming directly above our heads. On one end of the glass tunnel I saw some duct tape holding it together. Comforting. 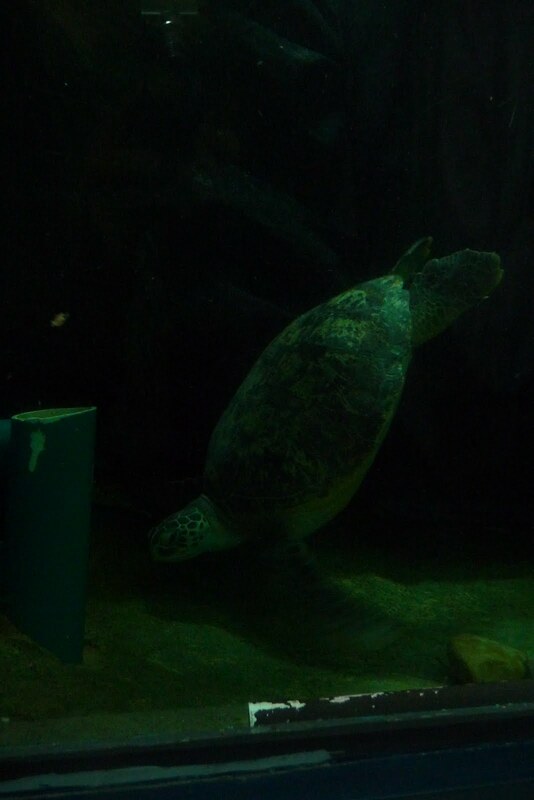 This turtle (remeber I heart sea turtles) seemed to be stuck here. I don’t think he was, but that black background you see was a tarp and it looked like he really wanted to get to the other side. This made me really sad. 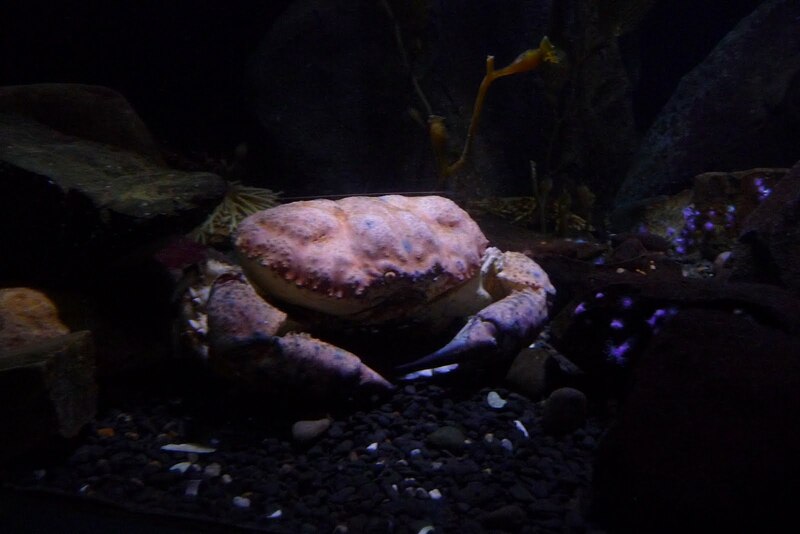 I am glad we went to the aquarium. I don’t want to seem ungrateful. 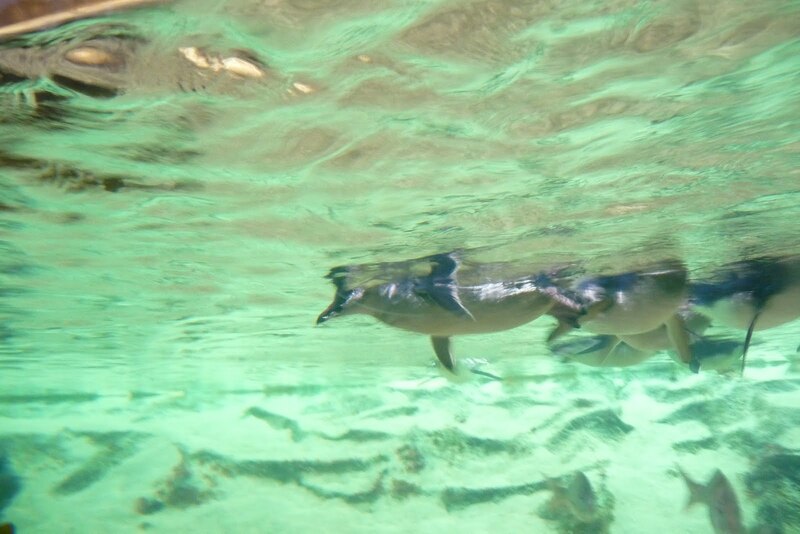 However, I have found that I can’t really handle seeing animals in captivity when they deserve to roam freely. I think I am going vegetarian as of today, actually. Stay tuned to Part 2! How is the Veg thing going?? Veg thing is not really going… very hard while not cooking at home. My plan is to rarely eat chicken, beef, or pork, and when I do eat those things, they must be free range and organic. I'm not giving up eggs or cheese, but, again, trying to go organic with it. I'll let you know how it goes once we've been home for a while.